Chief Minister Mamata Banerjee said today that her state had been granted GI or the Geographical Indication status for the sweet. BHUBANESHWAR: On Tuesday morning, West Bengal chief minister Mamata Banerjee posted a tweet which not only left Odias in a tizzy but almost broke the Internet in the eastern part of the country. "Sweet news for us all. We are very happy and proud that #Bengal has been granted GI ( Geographical Indication) status for Rosogolla," Didi’s official handle said. Even as the tweet by the Bengal CM was projected as if the long debate over the origin of the sweet and syrupy Rasagola has been settled in favour of West Bengal, it turns out that the GI tag has been granted for "Banglar Rasogolla" which applies only to the sweet produced in West Bengal. More importantly, the GI Registrar office at Chennai told The New Indian Express that Odisha has not so far applied for any GI tag. 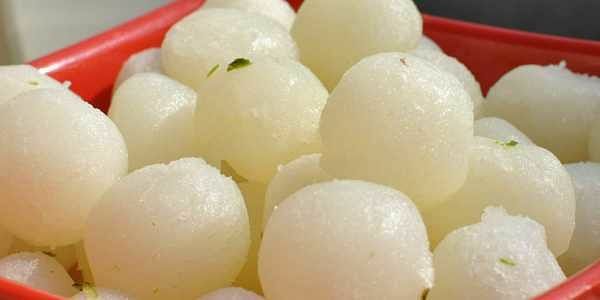 "The Directorate of Food Processing Industries, West Bengal had applied for the GI tag for Banglar Rasogolla in 2015. We examined all the evidence and conferred the GI tag for Banglar Rasogolla. So far, we have not received any application from Odisha," official sources in the GI Registrar Office said. The GI Registrar office also informed that if Odisha applies and there is sufficient evidence, it can get GI tag too. "Even Bikaner produces Rasagola. This GI tag is not for Rasagola in the generic term. It has been given basing on the geographic region, uniqueness and the evidence they produce. There should be no controversy over Rasagola’s origin basing on it at all," sources added. However, the social media was abuzz once the news broke that WB has been given the GI tag. Finance Minister Sashi Bhushan Behera even went to the extent of saying that the decision was an injustice to Odisha. Odisha has been claiming that Rasagola originated in the state and it was offered at Sri Jagannath Temple as well. For the last two-and-a-half years, the two neighbouring states have been engaged in a battle of sorts over the issue.